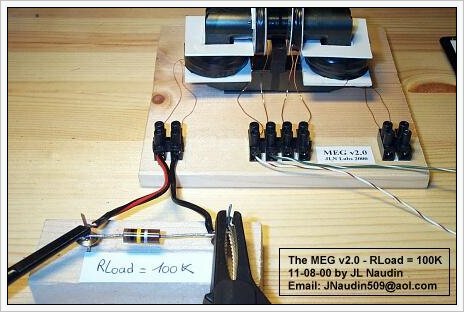 Additional Notes 11-08-00 : After some tests about different MEG v2.0 setup, I have found that the Maximum power output can be obtained quickly by simply connecting one side of the secundary coil to ground. 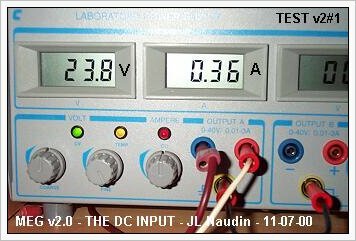 So, with one side of the output coil grounded, the COP reach its maximum instantaneously ( about 1.75 ) when the power is swichted on ( this avoid that the RLoad carbon resistor connected at the output begins too hot ). 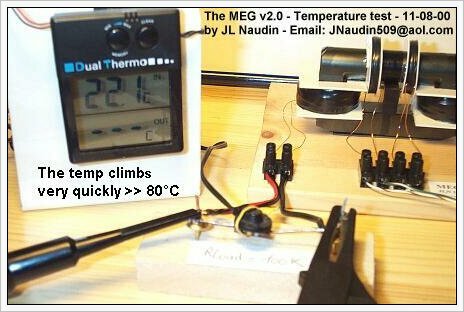 Important note ( 11-16-00 ) : After many tests at long run period, the two secundary coils have been broken due to some sparks inside the windings generated by the presence of the High Voltage. 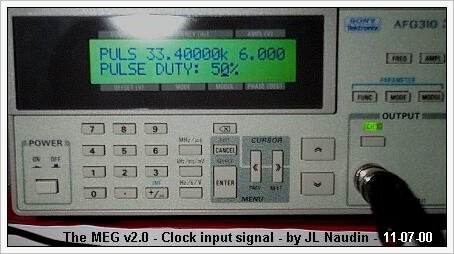 Its seems that the High Voltage output climbs very quickly at a high value ( > 3KV ) at certain frequencies. So, be carefull if you do some tests. 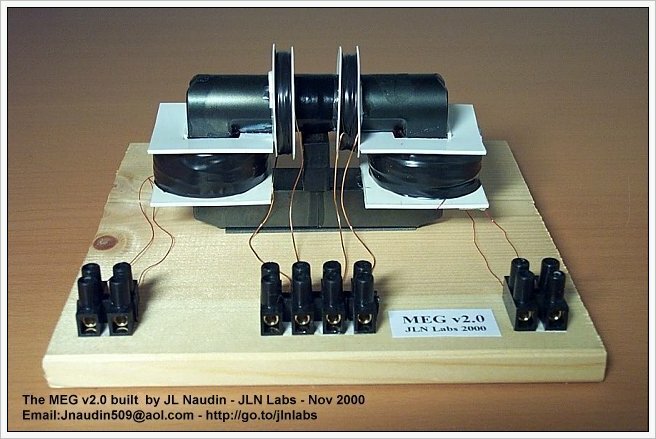 I am also currently searching for a Nanocrystalline tape wound core for the next version of the MEG v3.0.